Robert Majkut is a talented designer from Poland that seeks inspiration in his dreams. Some time ago he saw a dream where a grand piano appeared that didn’t seem like anything else he had seen before. For weeks he was chasing the picture trapped in his mind, trying to recall the exact shape of the piano. One day his mind unlocked and Whaletone was born. 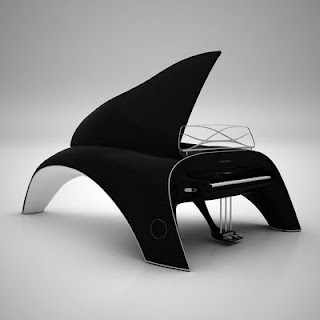 Whaletone is a bespoke piano that looks like a whale emerging from the water and with its sleek curves and excellent sound is ready to conquer us all.